1. I have recently finished the book and I loved it. It was a great book and an even better ending. The ending ended with a cliffhanger which can be annoying in some cases but in this case it just made me want to read the second book in the series, Patina, even more. [spoiler] It ended with Ghost at his first race and his mom, aunt, and cousin came to watch him run for the first time too. i liked it because it was like ghost has turned a new page in his life from being a bad kid at school to being a kid on a team with his family cheering for him. It was also like he turned a new page in his life because before his race Ghost went into his room for the first time since his dad tried to kill him and his mom. I really liked the ending even though it was a cliffhanger. 2. My friend read another book from Jason Reynolds and the our books have a lot of similarities. They both are about a teenaged African American boy living in a bad neighborhood and living with it. My friends book A Long Way Down is about a boy who's brother had recently gotten shot and was planning to kill his brothers suspected killer. On the elevator ride up to the person he was about to kill, the main character sees people from his life who have past away. That is similar to Ghost because they are both about facing your past, even the past you don't want to go back to. 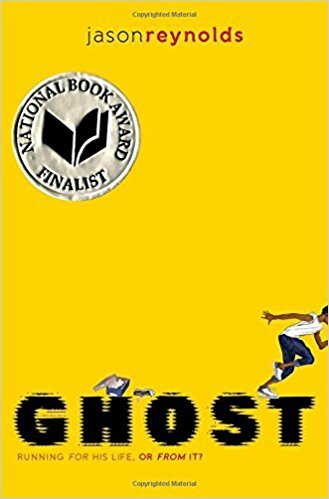 Ghost has to live with the past that his father tried to shoot him and his mother and the main character of A Long Way Down has to deal with his past friends who have lost their lives to the harsh life of living in a bad neighborhood. But these books are also different. A Long Way Down sells the point that living in a bad neighborhood can be hard more harshly than Ghost did. Ghost is more for younger kids than the teenaged reader A Long Way Down is for. They are both very different and similar books. 3. BookLikes can be a great site to find new books to read, especially when you are in need of a book, but aren't quite sure what book you want to read. There are many strategies of finding a new book on tis website, but this way is my favorite. Look up your favorite authors in the search bar and look at the authors book. You can see how many stars each book has and read the communities comments on the book. The website even gives a description of each book. Using this technique I found the book All American Boys by Jason Reynolds and Brendan Kiely. I hope you find this technique useful and keep reading! When reading a book you may read it, enjoy it, then move on to the next book. But, not many people think to themselves, "why did this author write this, what influenced them?" I wonder the same thing with Jason Reynolds in Ghost. One question I asked is why are his books often set in bad neighborhoods. One of the reasons of that is that he currently lives Brooklyn, which isn't the best neighborhood. Another question I had was why is his writing topics so much like Walter Dean Myers. Th answer to this is that his best friend in high school was Walter Dean Myers son. This is who told him that Walter Dean Myers is getting old and one day won't be able to write anymore. He told Jason Reynolds to pick up Walter Dean Myers job of writing for young African Americans. This is why Jason Reynolds writes about topics like Walter Dean Myers. I thought finding the reasoning for Jason Reynolds writing was very interesting. ""Like how when you at the swimming pool on the hottest day of summer, and you jump in and it's cool, and then you take one step too far and suddenly you're in the deep end, and things ain't so cool anymore no more. Because you can't swim." (Reynolds 97)." 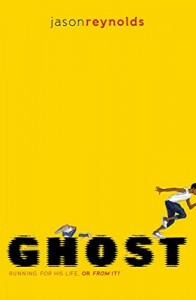 While reading Ghost i stumbled upon the quote "Like how when you at the swimming pool on the hottest day of summer, and you jump in and it's cool, and then you take one step too far and suddenly you're in the deep end, and things ain't so cool anymore no more. Because you can't swim." (Reynolds 97). This quote was describing how Ghost felt when he was stuck in the stock room. I like it because you don't see things described that way, but it's really relatable. Analogies like that help the reader relate to Ghost more. This supports how good of a writer Jason Reynolds is. I'm the type of person who doesn't have a set genre I read. If i see a book that seems good, I read it, that simple. So when I saw this book and read the preview, I decided to read it. And boy was that a good decision, because so far I love the book. So far I've read to page 33. In the story the main character Ghost but formally named Castle Cranshaw was first introduced as he is getting sunflower seeds. We find out that he is really interested in World Records because he knows a lot about them. 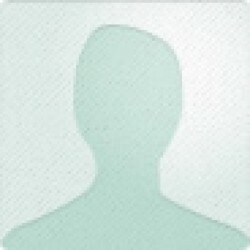 We also find out that he has had a troubled past with an abusive father. He tells the story on how one night his dad pulled a gun on him and his mother and they ran out of the house, which is when he found out he was good at running. So far this book is an amazing read and I'm enjoying it a lot. I erg everyone to read it.